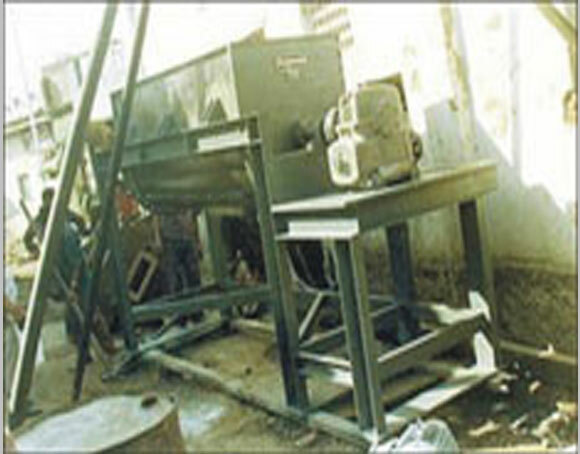 Ribbon Blender are mostly used by Chemicals, Plastic, Pharmaceutical, Paints and food industries. The Ribbon Blender does homogenous mixing of powder and semi-wet material of different densities. The ribbon blades of different designs are used to suit the need of different materials. The Blender consists of a Semi- cylindrical shell inside which rotates a Shaft fitted with spiral inner and outer ribbons. 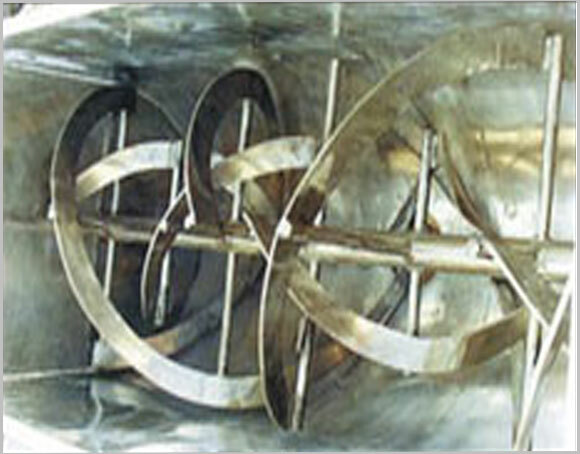 Ribbon Blenders are fabricated in capacities ranging from 50 liters to 5000 liters in MOC Mild Steel and Stainless Steel.